March is National Colorectal Cancer Awareness Month so the spotlight is once again on screening for this often preventable cancer. Let's face it, no one likes getting a colonoscopy, even though it's one of the best screening tests for colorectal cancer. But if everyone followed the recommended screening, 60% of all deaths due to colorectal cancer could be prevented. March is National Colorectal Cancer Awareness Month so the spotlight is once again on screening for this often preventable cancer. Let's face it, no one likes getting a colonoscopy, even though it's one of the best screening tests for colorectal cancer. But if everyone followed the recommended screening, 60% of all deaths due to colorectal cancer could be prevented. Here are some ways researchers are trying to improve on the standard colonoscopy. None of these eliminate some of the less pleasant aspects of colonoscopy--the icky bowel prep needed to empty the colon before the procedure, for example. But they may make the screening more accurate. 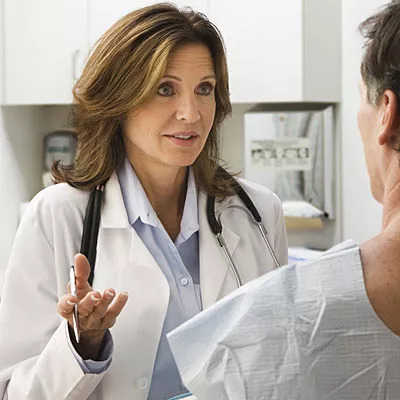 "Even in expert hands, there are still significant abnormalities that are missed at times," says Durado Brooks, MD, director of prostate and colorectal cancers for the American Cancer Society. Conventional colonoscopies involve a doctor threading a colonoscope--basically a long, flexible tube with a camera on the end---through the large intestine. One major advantage is that doctors can immediately remove any suspicious-looking growths or polyps. But the procedure is prone to human error. It's relatively rare, but occasionally the equipment can poke a hole in the intestine. Robotic colonoscopies, on the other hand, rely on gears to mechanically move the scope through the bowels. "One of the hopes with robotic colonoscopies is to decrease pressure on the colon and decrease the possibility of perforation," says Dr. Brooks. And they have another advantage in that they do not require sedation. Robotic colonoscopies are approved by the U.S. Food and Drug Administration but aren't yet standard treatment. Conventional colonoscopies afford doctors a 170-degree view of the colon, says Seth Gross, MD, a gastroenterologist and assistant professor of medicine at NYU Langone Medical Center in New York City. But a new instrument in the works would widen that view to 330 degrees because there is a camera not only on the tip of the scope, but also on each side. The full spectrum endoscope is being developed by NYU in conjunction with an Israeli technology company and should be available later this year. The colon is full of twists and turns and folds where polyps or cancers can hide. A balloon colonoscopy uses a colonoscope with an inflatable balloon at the end which mechanically flattens the folds of the colon as the device moves up the intestine, says Dr. Gross. This allows the doctor to see more of the colon. The device may be commercially available later this year, says Dr. Gross, but would still require sedation. The Endocuff works much like a balloon colonoscopy. Instead of a balloon, though, the Endocuff is a disposal cap which slips onto the end of the colonoscope and helps pull back the folds as the scope moves through the intestine. "It flattens out the folds," says Dr. Gross. Most of these technologies are still in the development and evaluation phase. "None have been proven to be more effective than simply a diligent and attentive colonoscopy," Dr. Brooks says. "The good news is that colonoscopy if it is performed in a careful, thoughtful manner is a very effective tool not only to find cancer but also precancerous lesions and remove them to prevent cancer from occurring." And there are a number of alternatives that are just as effective as a colonoscopy, Dr. Brooks says. These include a simple stool test and a "virtual" colonoscopy (CT scan). "It's great that there may be some [screening] enhancements on the horizon but right now we've got a number of very good tests," Dr. Brooks says. "If we just use the technology that we currently have available, we can cut both the number of cases of colorectal cancer in half as well as the number of deaths in half."